And Pinterest strikes again! I found a gorgeous photo online of a peach-caprese salad. 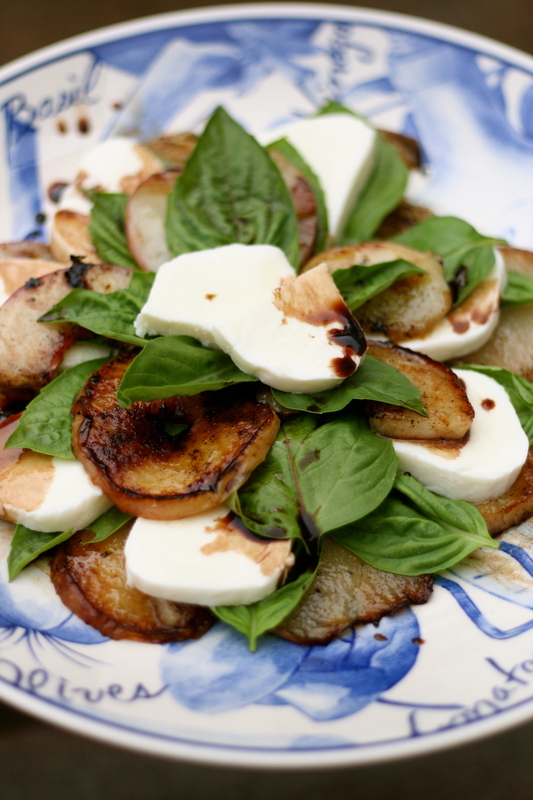 Peaches are so great for a summer meal and you can never go wrong with cheese and basil. I saw the photo and again thought, “How hard can it be?” Not that hard, this time around! I took a few liberties with my version of the dish. First off, the peaches in the original photo on Pinterest were cut and laid out with the rest — no tampering or altering of a great summer fruit. I chose to pan-sear the peach slices in butter. Yes, butter. You know it tasted oh-so good! 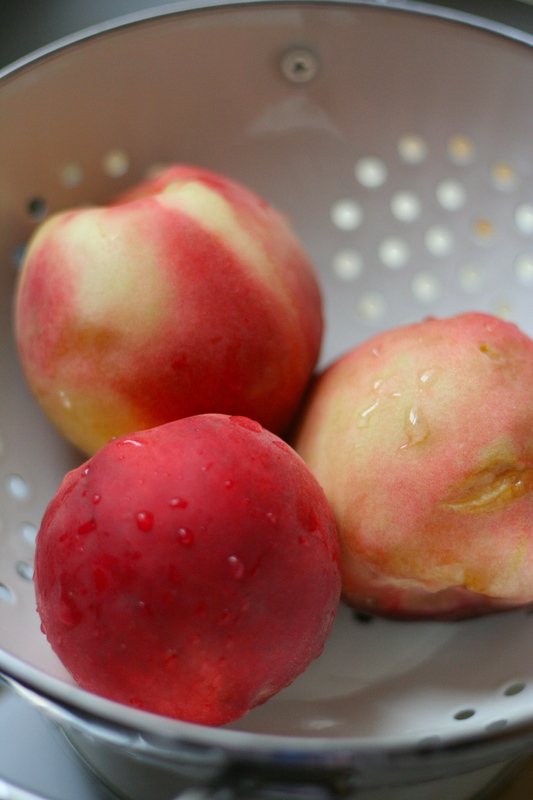 Instead of using your typical yellow peaches, I opted for white peaches – I just prefer them, but I’m sure it would have been just as good with yellow peaches. 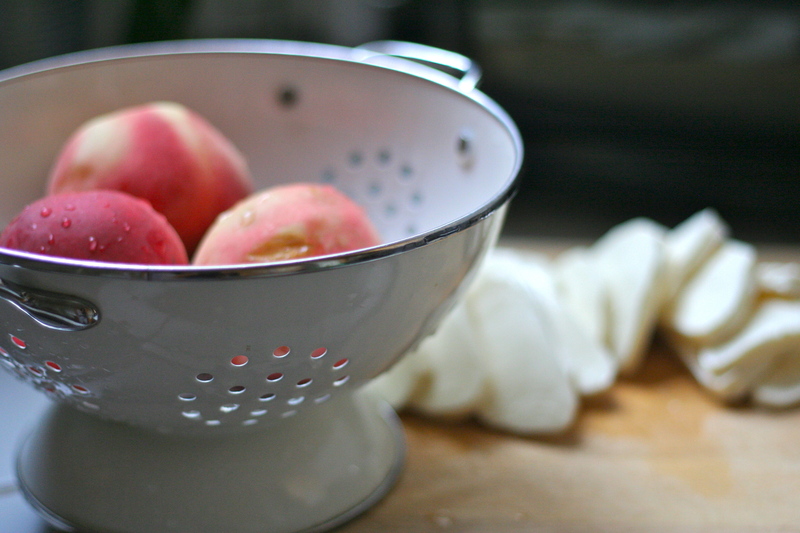 Slice the peaches about a half-inch to a whole inch thick. When you cook them in the pan, it will help as they will be sturdier and easier to handle. 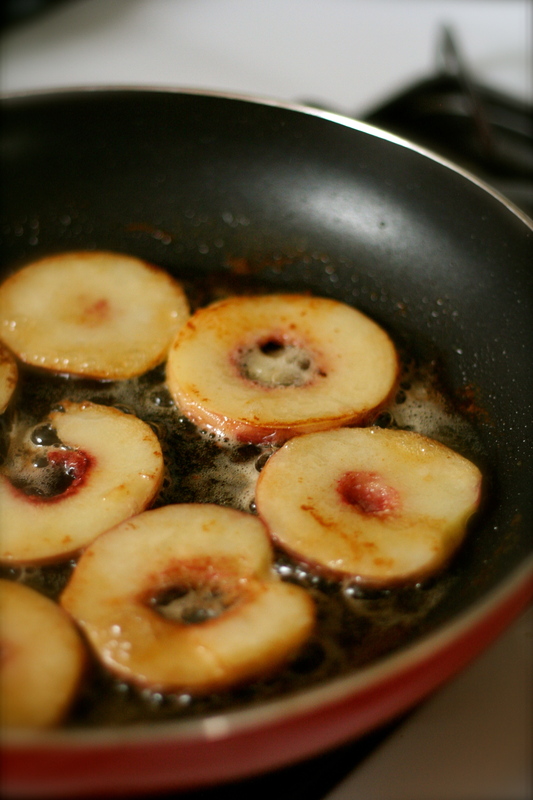 Make sure to fry the peach slices no longer than approximately 30 seconds for each side. The first batch I had over cooked in butter, and so, had come out a bit mushy. Slice the mozzarella, gather some fresh basil leaves and bam! Peach-Caprese Salad. Drizzling balsamic vinegar on top is optional. Not bad of a dish for a sunny, laughter-filled picnic with my favorite Zumba ladies in Golden Gate Park. And it only took me all of 30 minutes to prepare. Enjoy!